A weekend or short break in the unique natural volcanic landscape of the Eifel promises pure relaxation. Enjoy delicacies from the Kloster kitchen and conviviality in our Lounge SCENARIO. 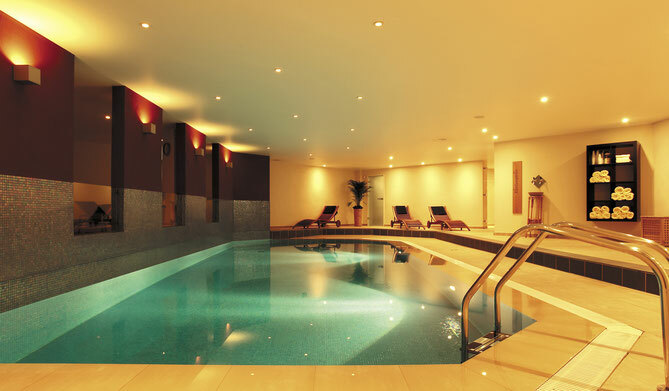 selection of complete wellbeing packages - choose the right one for you! Treat yourself to a real break! Leave everyday stresses at home and recharge your batteries after a busy week. Delicacies, relax in the monastery spa, explore the volcanic Eifel. Visit the unique natural volcanic landscape of the Eifel, hiking, cycling, golfing or taking a trip to the nearby famous racing course Nürburgring. The Eifelsteig - a superb hiking trail! We take you to the starting point and provide you with a delicious picnic to enjoy on the way: you can hike comfortably without any luggage. If you are a passionate golf player as well as a nature lover, a golf holiday in the Eifel is highly recommended. Enjoy the magnificent, everchanging scenery, a monastic ambience the atmosphere in our Kloster spa and end the day with many beautiful impressions at a monastic menu in our Atrium. If you love exploring and hiking or simply want to unwind in the midst of a beautiful natural setting, the small town of Hillesheim in the middle of the volcanic Eifel is just the right place. Give yourself a "time out"! Give yourself the gift of pleasure and relaxation. Come and spend your end of year holidays in the laidback monastic atmosphere and wintry natural landscape of the Vulkaneifel.